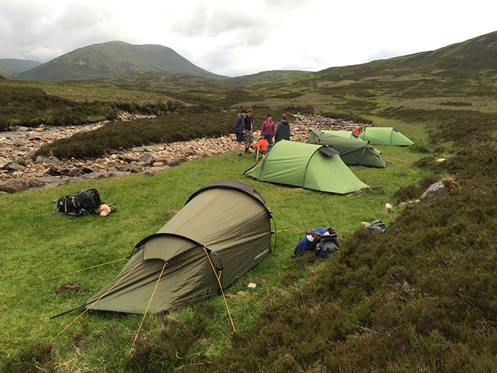 It’s hard to pin down exactly why participation in the Duke of Edinburgh Award is so worthwhile. What we can say is that its requirement of commitment, initiative, independence and confidence marks a significant step in the personal development of those who take part. Thanks to Dollar’s rich co-curricular offering, together with activities undertaken outside school, there are ample opportunities for pupils to become involved in all four areas of the award: volunteering, skills, physical recreation and expeditions. Combined, these aspects add up to a wealth of valuable experiences and a strong sense of achievement. All pupils from Form III upwards have the chance to complete this award. Typically, we get around 130 applicants keen to take on the challenge at entry level. Those who achieve Bronze can then go on to take part in Silver in Form IV and then Gold in Forms V and VI. The expedition programme is an exciting, yet demanding, part of the award that most pupils consider a highlight of their school career. Our large team of staff, each qualified and experienced in the training and assessment of expedition skills, relish being involved in this part too. The Ochil Hills, as if located behind the school for this very purpose, provide an ideal location to train and assess Bronze level candidates. 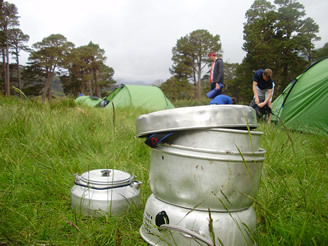 Silver and Gold level pupils can look forward to memorable experiences learning skills that’ll stay with them for life in the wilds of Wester Ross and North West Sutherland in the Scottish Highlands. Expedition work takes place in May, September and October for Bronze Candidates, and in June for Silver and Gold candidates. Please find our downloadable PDF’s for further detail.